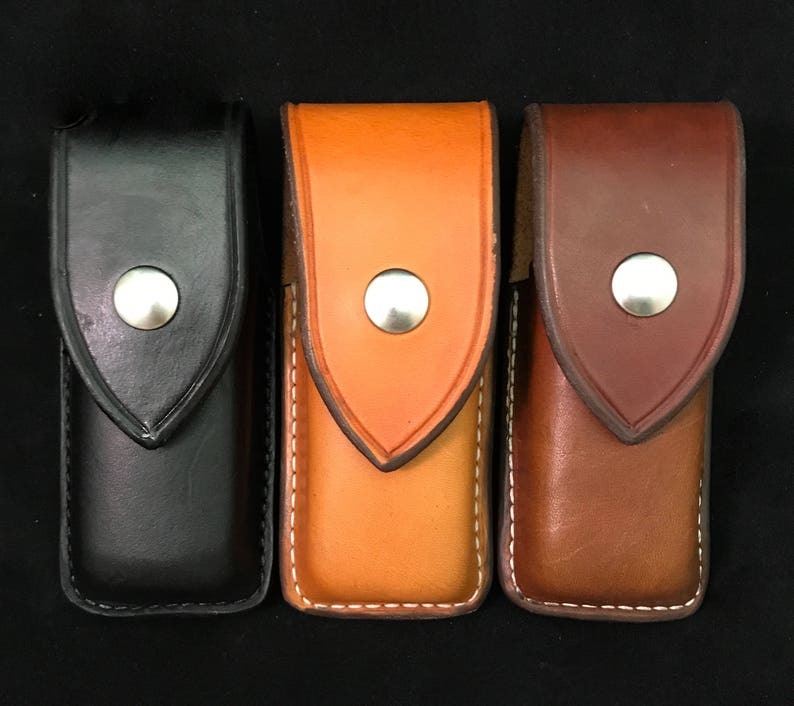 This product is a custom leather case/sheath for the Leatherman Surge or Supertool 300. - "Dot Fastener" - nickel over brass snap closure! This product is built to ensure that your Leatherman Surge or Supertool is secure in its case! Fits the Leatherman it was bought for perfectly, custom alterations were done exactly as requested. Extremely pleased! 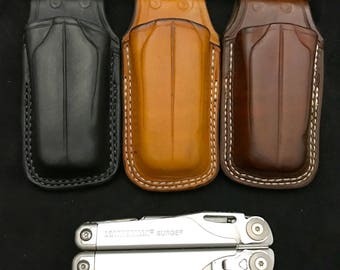 Nicest sheath for my Leatherman Surge I've ever owned. I'll never have to replace it yearly like I did with the original sheath that came with the Surge. This sheath is built to last and it shows. Perfect fit! Great craftsmanship! I'm completely satisfied and happy. These are amazingly well crafted and look great! Just bought a second for my father in law after my husband loved his so much. They both use their leatherman all day everyday at work and love this pouch!